I hear this often among patients, and the good news is that no, you’re not cursed and yes, you can fix your metabolism. It’s important to remember that you are unique: Everyone was born with a different biochemical make-up. You have trillions of little energy factories called mitochondria that provide the fuel to run everything in your body. If you can remember high school biochemistry class, you know mitochondria convert the oxygen you breathe and the food you eat into energy for your body to use. Think of mitochondria as little combustion engines. When scientists talk about metabolism, they often refer to mitochondria. Effective mitochondria mean your body efficiently burns calories and you have a fast metabolism. Ineffective mitochondria don’t burn calories and slow down your metabolism. Some of this is genetically determined. Research shows if you have a parent or sibling who has type 2 diabetes, your mitochondria are likely to be 50 percent less effective at burning calories than the average person, even if you are thin. This predisposition means you’re more likely to gain weight and eventually develop diabetes, or what I collectively call diabesity, further adversely impacting your mitochondria. Likewise, aging itself and other chronic diseases like heart disease and dementia create mitochondrial dysfunction. However, the biggest hit comes from your diet. More than flavors and calories, food becomes information that tells your cells and mitochondria what to do. 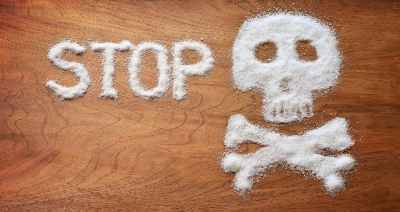 When you eat lots of sugar and processed, inflammatory foods including refined oils, or simply consume too much food period, you overload your energy factories and damage production. Likewise, starvation mode means your body clings to fat. After all, your body’s number one priority is keeping you alive, not necessarily fitting into that bathing suit when summer arrives. In fact, your body is extremely well adapted at holding on to fat. Yo-yo dieting, under-eating, calorie-restrictive dieting or other extreme measures force your body’s metabolism to slow way down and store fat for that “rainy day” that never comes. To optimize mitochondria, then, you want to eat the right kinds of foods and eat enough of those foods. Lifestyle factors can also impact your mitochondria. Environmental toxins like pesticides, mercury and radiation, as well as hidden infections and stress can harm your energy system. Your gut microbiome can even be a problem if unhealthy, inflammatory bugs outnumber the good bugs. These bad bugs release toxins called lipopolysaccharides. You absorb these toxins, creating inflammation and damaging your mitochondria. Anything that causes inflammation and oxidative stress damages your mitochondria. Fortunately, you have the power to increase the number and function of your mitochondria. You can’t turn back the clock, but you can take these seven steps to keep your mitochondria healthy and optimize your metabolism. 1. Eat plenty of healthy fats. 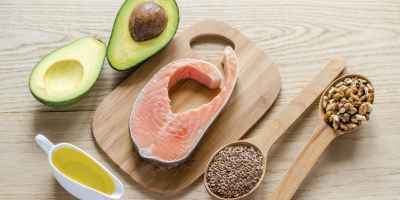 Healthy fats like avocados, nuts and seeds, along with wild, fatty fish are your mitochondria’s preferred fuel. My favorite “gasoline” for your mitochondria is medium-chain triglycerides or MCT oil, which is found in coconut oil. I provide an extensive plan to utilize these and other healthy fats in my new book Eat Fat, Get Thin. 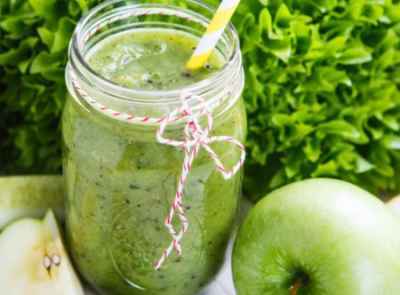 While nutritionists often disagree, one thing nearly everyone concurs with is that we need to eat plenty of fresh vegetables and other plant foods. Colorful, antioxidant-rich plant foods become essential for healthy mitochondria and reducing oxidative stress. 3. Avoid sugar and flour. High-glycemic, high-carb foods put tremendous stress on your mitochondria. In fact, quick absorbed carbs are the biggest driver that damages your entire system. My 10-Day Detox Diet Program includes low-sugar, delicious foods that kick-start weight loss and overall health. 4. Stop obsessing over numbers. Quality over quantity becomes key for optimizing mitochondria. That said, if you’d like to know how much you should be eating, calculate your resting metabolic rate (RMR) or the total number of calories your body needs to survive at complete rest. If you eat fewer calories than your RMR, your body thinks it is starving. Calculating your RMR is easy. If you are average size, take your weight in pounds and multiply by 10. If you are very muscular and lean, multiply your weight by 13. If you are very overweight, multiply it by 8. Eating less than your RMR means your body goes into starvation mode. 5. Move more and faster. Research shows high intensity interval training (where you go all out for 30 to 60 seconds, slowing down for a couple of minutes, and repeating) coupled with strength training is an excellent way to make new, improved mitochondria. Strength training builds muscle and creates more mitochondria, while interval training improves mitochondrial function and how quickly they burn oxygen and calories. You can learn more about an effective exercise plan here. These include coenzyme Q10 (CoQ10), alpha-lipoic acid, N-acetyl-cysteine, carnitine, B-complex vitamins, and omega-3 fats. You can find these and other supplements that help speed up your metabolism and lower inflammation in my store. Studies show insufficient sleep exacerbates inflammation, increases heart disease risk and hinders our immune, brain and cellular performance. To remedy that, get eight hours of solid, consistent sleep nightly. You can improve sleep with these eight simple hacks for a better night’s sleep. Simply put, you have tremendous power over your metabolism and your health. Mind your mitochondria, and you’ll increase your metabolism to become fit and healthy. Even if you’re predisposed to certain genes, you can control them with healthy eating and lifestyle choices. You are never stuck.